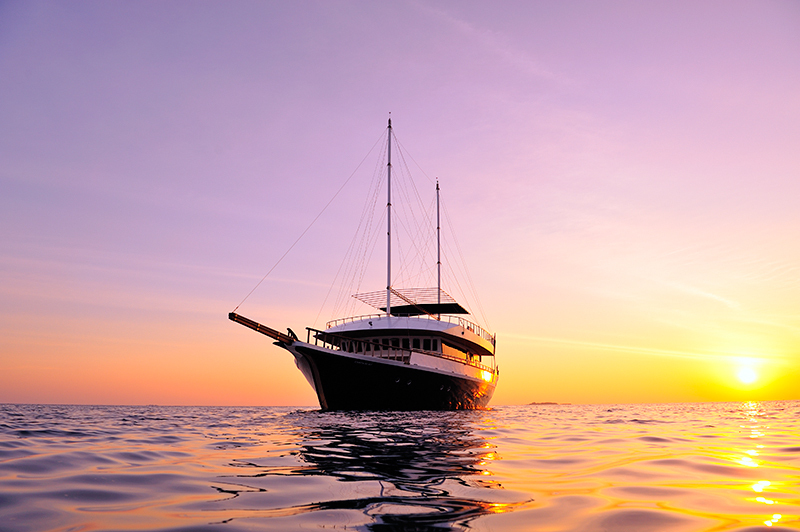 Cruise through the Inner or Central Atolls on the Gurahali, an exclusive luxury live-aboard yacht. Surf, snorkel, relax, visit village islands and discover the real Maldives. The Gurahali is a 28 metre, timber vessel built in 2008 and operated by top Maldivian charter company Voyages Maldives. There are six ensuite cabins with double size bunk beds plus one ensuite cabin with double bed and single bed. Gurahali has spacious bar and dining areas; sun deck and shaded open-air deck spaces; lounge and entertainment system TV/DVD/Music & BOSE home theatre system with surround sound. For additional on the water support there is a dinghy and dhoni. Snorkeling gear and fishing lines are available.